Whether you’re a farmland deer hunter or a backcountry elk addict, here are 10 budget bows you can trust. Value comes in many forms, and there’s certainly no reason to go broke buying a new rig. Today’s mid-priced models are simply designed to perform. Whether you’re a farmland deer hunter or a backcountry elk addict, here are 10 budget bows you can trust. Few companies can compare to Bowtech (877-901-1934; www.bowtecharchery.com) when it comes to ground-breaking technology. Naturally, when the engineers behind the bows come up with something revolutionary, it’s incorporated into the flagship models. Within a few years, however, that same technology will trickle down through their lineup, which makes bows such as the Fuel ($500) an absolute steal for the price. This bow generates arrows speeds up to 320 fps thanks in part to its Binary Cam System. The Fuel is highly adjustable and offers draw weights of 14-70 pounds and draw lengths of 18-30 inches. It also happens to be R.A.K. Equipped, meaning the Fuel is fully accessorized and ready to go right out of the box. Bear Archery’s (800-694-9494; www.beararchery.com) flagship bows are reasonably priced when compared to the competition, but the deepest value in their 2018 lineup has got to be the new Species ($400). This 4-pound bow measures 31 inches between axles, and when maxed out, the Species will produce arrow speeds up to 320 fps. It’s available in two draw weight ranges, 45-60 and 55-70 pounds, and can easily be adjusted to accommodate draw lengths between 23 and 30 inches. If that wasn’t enough, the Species is offered as a RTH (Ready To Hunt) package bow, meaning it comes fully accessorized with a sight, rest, stabilizer, peep sight, string loop and even a wrist sling. Just add arrows to the mix and this bow is ready for the range — or the woods. Of the affordable bow lines out there, few have garnered the performance reputation of Diamond Archery (877-901-1934; www.diamondarchery.com). This is due in large part to churning out bows such as the Edge SB-1 ($449), which is extremely adjustable. In fact, an 8-year-old could use it on a turkey hunt, and then with some easy tweaking to the stylish rig, an adult could use it on a moose hunt. The bow weighs only 3.6 pounds, measures 31 inches between the axles, and features a 7-inch brace height. To ensure an enjoyable shooting experience at the range or in the treestand, the SB-1 is built with 80 percent letoff. There is a great intangible when it comes to bows called “shootability,” and while anyone who bowhunts understands it, it’s very hard to describe. Elite Archery (877-503-5483; www.elitearchery.com) has built a reputation on shootability, and anyone looking to see exactly what that means should give the new Enlist ($749) a test drive. This 3.9-pound bow measures just under 34 inches between axles and can produce arrow speeds up to 325 fps. Elite has created a cool platform on which to build and buy bows, allowing you to configure a bow any way you’d like and then enter a monthly payment plan. This means if the sticker price seems a little out of reach as a lump sum, you can consider this option and have a small monthly payment until your Enlist is paid off. When carbon-riser bows first hit the market, it was reasonable to assume they’d never be priced for the bowhunting masses. That assumption, however, has been proven wrong. Exhibit A to prove this comes from Martin Archery (509-529-2554; www.martinarchery.com) in the form of its Carbon Fury ($547). The advantages of a carbon riser are many, but of course center on weight reduction and a smooth, nearly vibration-free shot cycle. The 3.3-pound Carbon Fury offers both. It’s also capable of producing arrow speeds up to 325 fps, is offered in peak draw weights of 50, 60, and 70 pounds, and draw lengths of 24-27 inches. This bow won’t fit every bowhunter, but the small-in-stature bowhunters it does fit will be awfully happy with the rig. Mission Archery (608-269-2728; www.missionarchery.com) has long been synonymous with budget bows, and the Hype DTX ($399) is no exception. Designed to fit just about anyone who is interested in a little range time, the Hype DTX is adjustable from 15-70 pounds of draw weight and 19-30 inches of draw length. To produce arrow speeds above the 300 fps mark, the 4.16-pound Hype DTX employs the F.I.T. Cams. Two package deals are offered with this bow for anyone looking for one-stop shopping. The Bow Hunter package contains a QAD rest or a Whisker Biscuit rest, an Alpine Bear Claw Quiver, a Copper John sight and an Axion stabilizer. The Basic Package includes a sight, quiver and rest. The hot-button issue when it comes to the future of hunting is the attrition in participation, and few companies have addressed this as well as Genesis (608-269-1779; www.genesisbow.com). 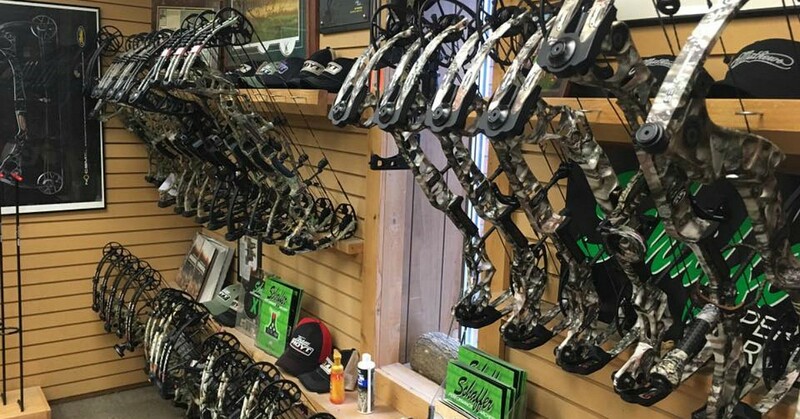 This company has brought more young archery enthusiasts into the fold than any other, and that trend is likely to continue with their Gen-X ($200) bow. This is a beginner’s bow, but it can be adjusted up to 40 pounds of draw weight, meaning that it would be legal for big game in many states. The Gen-X weighs only 3.4 pounds, and is offered in a kit ($300) that contains a sight, rest, detachable quiver and four arrows. Choose from several finish options including Approach camo, White Camo, Pink Camo, Red, Green Blue or Black. Not everyone can walk into a pro shop and walk out with one of Hoyt’s (801-363-2990; www.hoyt.com) flagship bows, but nearly anyone with the urge to bowhunt can afford the PowerMax ($650). This 3.8-pound rig pairs up Hoyt’s PowerMax cams with ZRX limbs to produce tack-driving accuracy and arrow speeds that push up to 328 fps. The PowerMax measures 31 inches between axles, allows for draw weights of 30-70 pounds, and offers a wide draw-length range that starts as short as 24 inches. This means the PowerMax is an excellent choice for small-stature bowhunters as well as full-sized archery addicts. Quest (810-392-8431; www.questbowhunting.com) has been quietly creating some of the best deep-value bows on the market for more than a few years now, and in 2018 they’ve released the Thrive ($650 bow/$750 package). This bow is anchored by the 82X aluminum riser, which is lightweight yet extremely rigid and offers a solid, enjoyable shooting platform. The 4.3-pound Thrive features modular adjustable draw lengths ranging from 26-31 inches, and is available in peak draw weights of 50, 60 or 70 pounds. The Flux cam system combined with aluminum limb pockets and the Flexis AR adjustable roller guard system work to create tack-driving accuracy and a dead-in-hand shot cycle (330 fps). Quest bows are made-in-America and offered in several sweet camouflage or single-color finishes. A relative newcomer to the bow scene is Obsession Bows (678-342-9000; www.obsessionbows.com). They’ve quickly gained a loyal following with their offerings, which are generally some of the fastest bows on the market. This is certainly the case with the Turmoil RZ ($700), which can send arrows downrange at blistering speeds up to 350 fps. This 3.8-pound bow measures just over 33 inches between axles, sports a 6.5-inch brace height, and is offered in four peak draw weights ranging from 50 to 70 pounds. Prospective buyers will have a litany of finish choices to pick from, including several Mossy Oak and Realtree patterns, and to truly trick out the Turmoil RZ one can even choose from a few different string colors.